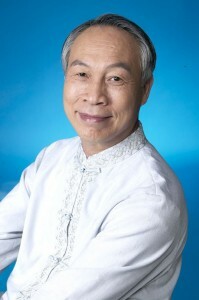 Dr. Owen Liao is a licensed acupuncturist, Qigong healer and Tai Chi master. Since 1992, Owen has written three books in both Chinese and English and published three Tai Chi Qigong DVDs. His latest book – Let Your Body Listen to You, 2009, has been selling very well in Taiwan and China. He has been practicing medicine for nearly 20 years. He is consistently researching effective treatments for stubborn chronic disorders. At the same time, he is focused on developing a wellness strategy by heavily employing prevention concepts. Furthermore, patients around the globe have profoundly appreciated his distance healing capabilities. Master Liao has been able to effectively treating many neurological disorders by employing his Modern Chinese Medicine approach, including spine injuries, scoliosis, bamboo spine, sciatica, shingles, concussion, neuropathy, Parkinson’s disease, Alzheimer’s disease, ADD/ADHD, depression and anxiety. One of his most exciting discoveries was the development of an Eye Healing Protocol in 2004. This powerful healing method enables him to help many clients with weak vision, double vision, as well as near-sighted and far-sighted conditions. In 2005, Master Liao developed his Holistic Weight Loss program. With this program he has helped many overweight patients. In one dramatic case, the patient’s weight went from 320 lbs to 195 lbs in 10 months. Every year, Master Liao saved many patients suffered from severe post-flu syndromes including pneumonia.